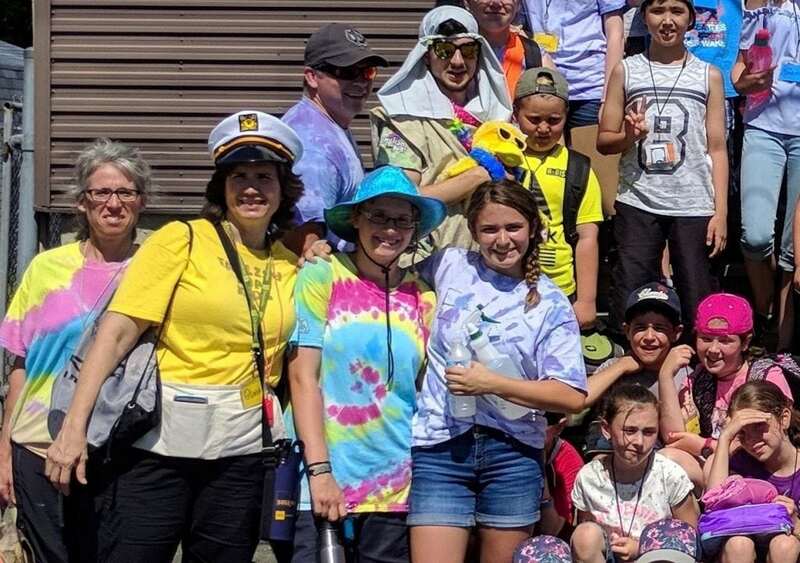 Here is the closing report of Camp Director, Mrs. Olivia Durham, on the "English for Kids Bible Camp" that was held in St-Georges de Beauce, Quebec, June 30 - July 7, 2018. Each year, Olivia organizes a team of volunteers from the Presbytery of New York and New England to lead this camp. 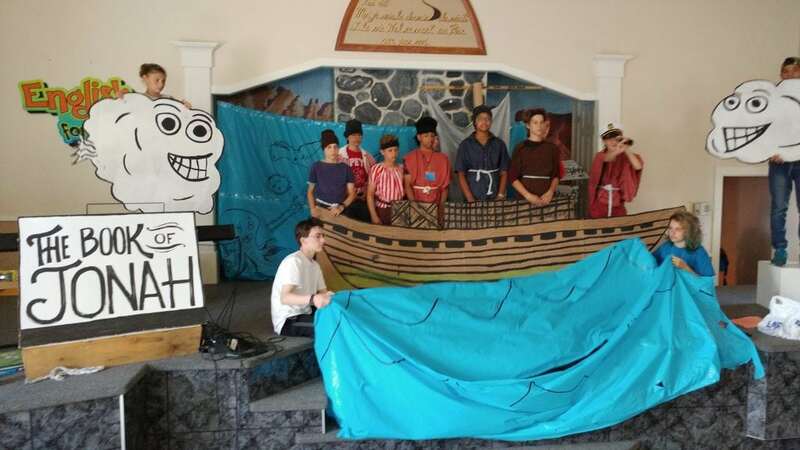 The theme of this year's camp was the Book of Jonah. Friends, thank you so much for your prayers. Last night the dear saints of the St. Georges' church fed 175 adults and children and were treated to a magical production of the Book of Jonah which included songs by all the camper classes. Hearing the sweet young voices was a taste of heaven and I know His Word will do its work. This year marks our tenth year in St Georges; praise God from whom all blessings flow. If you could see your sweet teens this week, you would see the adults they will soon be. Yesterday, they worked for 14 hours straight. In the stifling heat they kept those sweaty little bodies hydrated, accounted for, and entertained. They are adored by the campers. Your teens come and ask me: Is there anything else that needs doing? They look for the one who is left out and draw him in. They speak up if they see someone doing something dangerous. They pray in public, act on stage hilariously, and interact with parents graciously. They are the light of Christ. They know the pleasure of being indispensable. You don’t have the joy of seeing what the power of the Spirit can make them into, but one day you will as you persevere in faith. They will come home exhausted; treat them gently! Growing is exhausting. Thank you for giving me this pleasure this special week. English for Kids is the highlight of my year and I love your teens! Directing a staff of willing volunteers is like sailing before the wind.